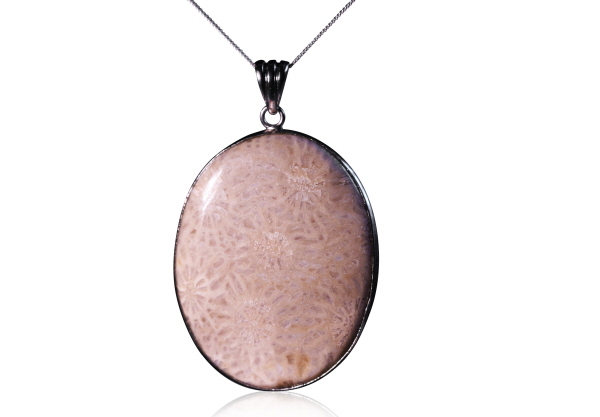 The coral has been shaped and polished to bring out the intricate patterns of the coral itself. The cabochon has been set in a sterling silver mount which surrounds the coral cabochon but unlike the other necklace here leaves the back open and viewable. It looks great and will also protect it from damage. Strung with an 18 inch Sterling Silver chain.